Should You Trade the EURUSD? The most widely traded financial asset in the world is not any particular stock, oil or gold – it is the EURUSD (Euro/ US dollar) currency pair. The pair represents two of the largest economies of the world. Created to facilitate cross-border trading among European and American partners, the euro (EUR) has risen to become the second largest currency in circulation after the US dollar (USD). As the official currency for 16 countries that comprise the Eurozone, the euro has also become the second largest reserve held currency in the world after, again, the US dollar. The US dollar itself needs no introduction. It is the official currency of the world’s largest economy and is generally accepted as the reserve currency of the world. Most global central banks hold a big part of their foreign currency reserves in US dollars while many other countries peg the value of their currency to that of the USD. Additionally, the OPEC (Organization of the Petroleum Exporting Countries), the world’s largest producers of oil, transacts in US dollars. There is a phrase in the financial markets that goes ‘The Dollar is King’ and it is easy to see why. The EURUSD currency pair is incredibly popular among traders. But should you trade the pair that represents two of the economic world’s most powerful trading blocs? In the financial markets, liquidity is the ability to sell out of an investment without triggering a significant movement in price. A liquid asset is easy to cash up because there are many able and willing takers. An illiquid asset, on the other hand, is difficult to sell out without suffering a price hit. The EURUSD is the most liquid financial asset in the world and enjoys a very high liquidity premium. Approximately 80% of the world’s transactions are completed in either of these two currencies. As the most liquid asset, investors receive transparent EURUSD quotes throughout the day because its price cannot be influenced by few market players, as is the case with other assets such as stocks. Liquid assets also tend to make regular price movements unlike illiquid assets that are prone to occasional price whipsaws. Assets with massive liquidity also have the benefit of low transaction costs. On most online trading platforms, the spread or commission for trading the EURUSD ranges from zero to a few hundredths of a cent. While it is not any easier to trade liquid assets than illiquid ones, it is definitely less risky. 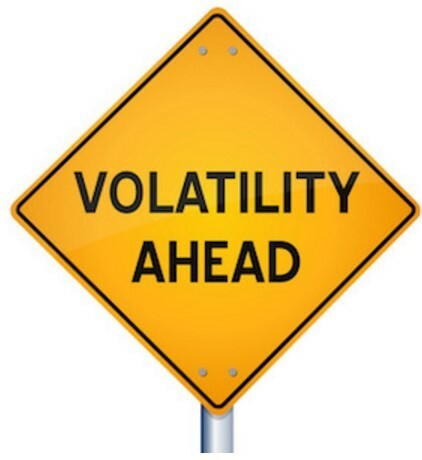 Volatility refers to the frequency and severity of an asset’s price movement. Volatile assets move faster and make bigger trading ranges in any particular trading session than the less volatile assets. In markets such as binary options, where investors trade on the direction of the price movement of assets, volatile assets offer more profit opportunities than the less volatile ones. The EURUSD almost always guarantees volatility at all times due to the many factors that impact on its price and can offer great trading opportunities for investors. The EURUSD offers investors the easiest way to profit using fundamentals or fundamental analysis. The euro itself is sensitive to political and economic developments in the 16 countries it represents. The number of nations that release data that might impact on the euro means that there will always be numerous opportunities to profit on a daily basis. Add that to news coming from the US and its major trading partners, and it is almost mandatory to include this currency pair on your asset watch list. Not all news is traded though. Investors mostly trade new releases that are likely to have a high impact on the price value of the EURUSD. Such news includes, for example, the US Nonfarm Payrolls and the Eurozone CPI (consumer price index). 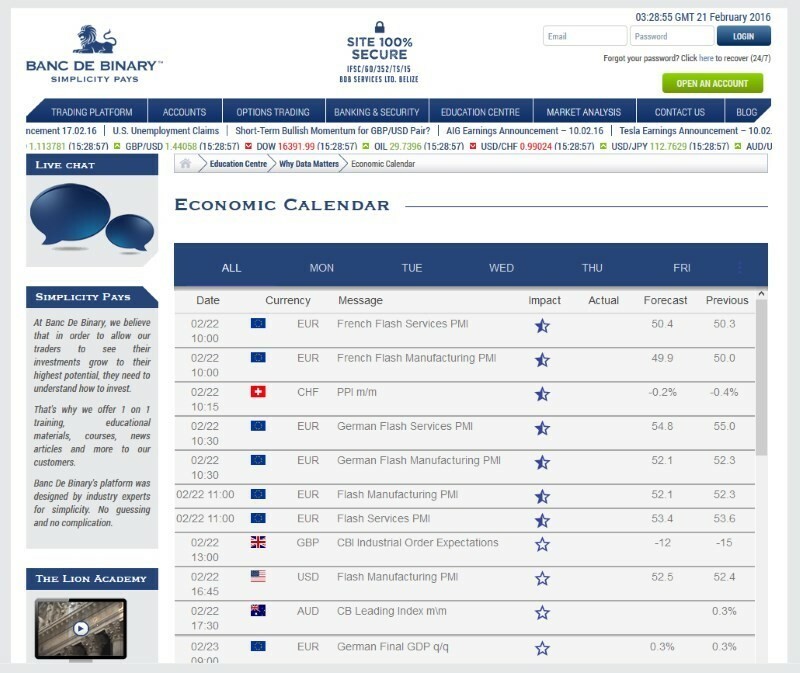 Investors can track such economic news conveniently using a binary options app or site that contains the Economic Calendar tool. The EURUSD currency pair has lately been driven by market sentiment. After drifting higher since the start of the year and into the first week of February, after the non-committal sentiments from the US Federal Reserve, the pair has now closed lower for 5 consecutive days. 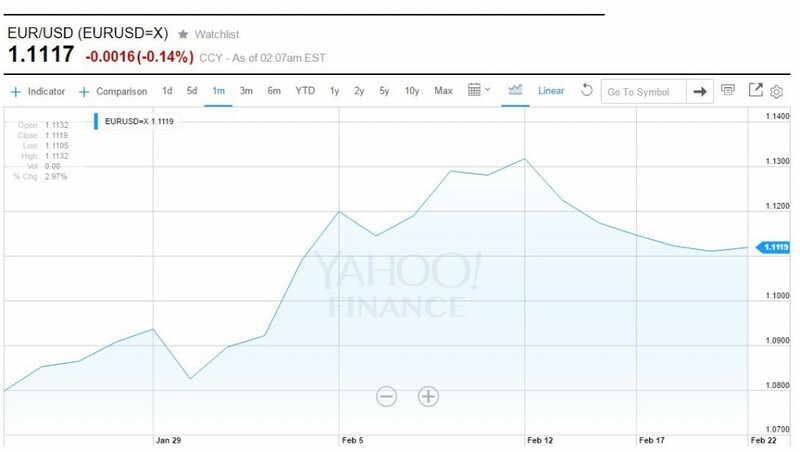 The recent publication of the European Central Bank (ECB) January meeting eased the downward pressure on the pair. In the meeting, ECB’s head Mario Draghi discussed about further downside risks and vowed action in March. 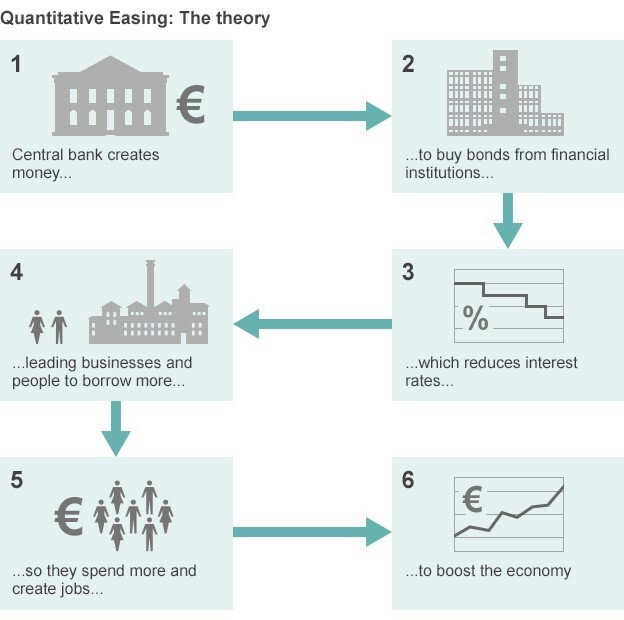 In a symbol of unity, Draghi’s most vocal opponent Jens Weidmann provided his support for the quantitative easing program. Of late, though, the euro has acquired a safe haven status and continues to ignore many pieces of negative data coming from the Eurozone. This general mood for the euro is upbeat with crude oil prices also rising as well as the increasing market expectation that the ECB will do something next month. The dollar, on the other hand, is affected by a cautious and uncertain Fed. Strings of positive data are coming out of the US, the latest being a fall in unemployment claims to 262K against expectations of 282K, but the greenback is not reacting accordingly. The main reason has been recent commentary from Fed officials, including its chair Janet Yellen, which have not given a clear direction on the future of interest rates in the country. As it stands, the markets now anticipate a rate cut more than a rate hike. With crude oil prices seemingly starting to rise, pressure on the dollar could increase. The current price of the EURUSD is 1.1170. The pair seems to have found support after retreating lower for five straight days. The pair has largely been trending this year before breaking above its 200-day moving average at 1.1105 this month and going on to form this year’s current high at 1.1375. It fell from those highs and found support at 1.1085 (21-day moving average). The pair is now back and hovering above its 200-day moving average, which is expected to provide support for the medium term. Important technical support levels to watch out for in the near term are 1.1080, 1.1045 and 1.1000. The resistance levels to watch out for are 1.1160, 1.1200 and 1.1245. In the medium term, the EURUSD is expected to be driven by market sentiment. 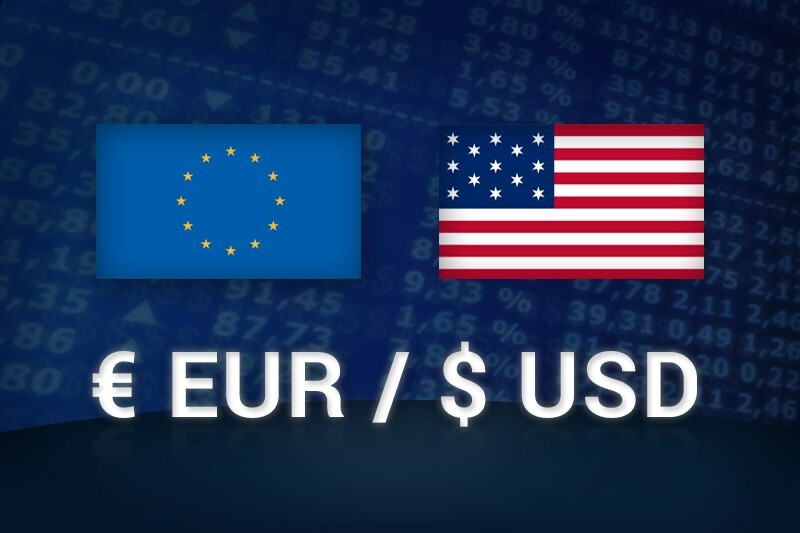 The market has shown contempt towards the Federal Reserve and the dollar, while it seems to cheer on the euro. Upcoming fundamental data could prove crucial for the pair in the medium term. Positive news for the euro could send the pair higher as will negative news for the dollar. Negative news for the euro could be ignored by the market or it might send the pair marginally lower, same as positive news for the US dollar. All in all, with numerous economic news affecting the pair scheduled to be released in the coming days, investors should look to exploit the amazing and lucrative opportunities the EURUSD will offer them.